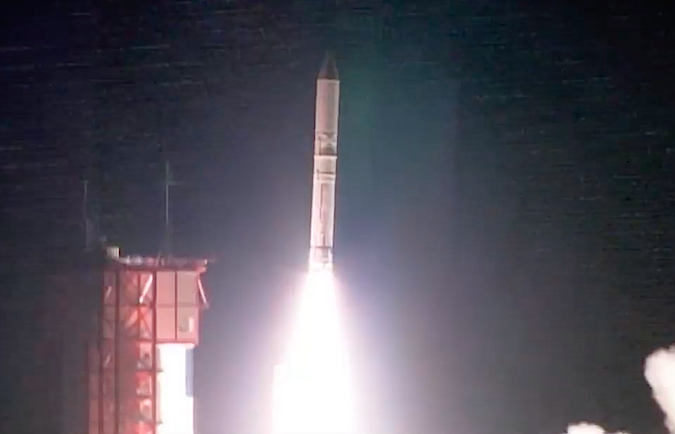 The compact, cube-shaped spacecraft took off on top of an Epsilon booster at 1100 GMT (6 a.m. EST; 8 p.m. Japan Standard Time) Tuesday, launching toward the east from a hillside rocket complex at the Uchinoura Space Center on the southern Japanese island of Kyushu. The 85-foot-tall (26-meter) launcher climbed into the night sky atop a half-million pounds of thrust from its first stage, a solid-fueled rocket motor derived from the strap-on booster from Japan’s heavier-duty H-2A rocket. The first stage propelled the Epsilon rocket to a speed of nearly 5,000 mph (around 2.2 kilometers per second) in the first two minutes of the flight before consuming all its pre-packed solid fuel. After shedding its first stage and its nose cone, the Epsilon rocket’s second stage motor ignited for more than two minutes. Thrusters on the outside of the rocket then put the vehicle in a spin before separation of the third stage for its minute-and-a-half firing to push into orbit. Signals from the rocket indicated the Exploration of Energization and Radiation in Geospace, or ERG, spacecraft separated from the Epsilon rocket’s upper stage as scheduled around 13-and-a-half minutes after liftoff. The satellite extended its solar array panels, stretching around 18 feet (5.5 meters) tip-to-tip in four directions, soon after separating from the rocket to begin charging the craft’s internal batteries, the Japan Aerospace Exploration Agency said in a statement. The Epsilon rocket was shooting for an orbit with a perigee, or low point, of 136 miles (219 kilometers), an apogee, or high point, of around 20,600 miles (33,200 kilometers), and an inclination of 31.4 degrees to the equator. 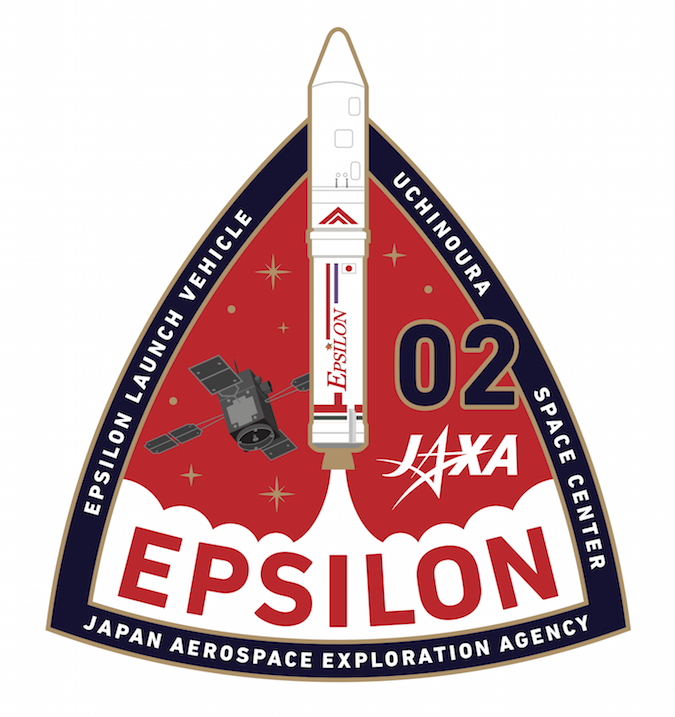 No data on the orbit achieved by the Epsilon launcher was immediately available Tuesday, but JAXA issued a press release confirming the flight went as planned and congratulating rocket and spacecraft teams. JAXA said the ERG spacecraft will be nicknamed Arase after a river running near the Uchinoura Space Center in Japan’s Kagoshima prefecture. “Arase, a Japanese word for a river raging with rough white water, is a fitting description for the journey that lies ahead of ERG,” JAXA said, referring to the satellite’s perilous passes through a zone of intense radiation. The Arase River is also part of a Japanese folk tale of a bird’s beautiful singing, JAXA said, offering another connection between the nickname and the ERG mission, which will observe the chorus, a type of plasma wave inside Earth’s magnetosphere. The successful launch of Arase came more than three years after the Epsilon rocket’s inaugural flight in September 2013. 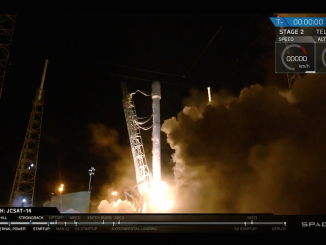 Tuesday’s mission debuted a second stage motor carrying additional propellant, simplified structures, a lengthened payload fairing to accommodate larger satellites, and a lighter power distribution unit for the second and third stages replacing mechanical relays with semiconductor relays. The “enhanced” Epsilon rocket launched Tuesday can loft 30 percent more weight into orbit and stands around more than 5 feet (1.6 meters) taller, according to JAXA. The Epsilon is Japan’s light-class satellite launcher, alongside the country’s workhorse H-2A and H-2B rockets. An information kit released by JAXA said the Arase spacecraft weighed around 804 pounds (365 kilograms) at launch. 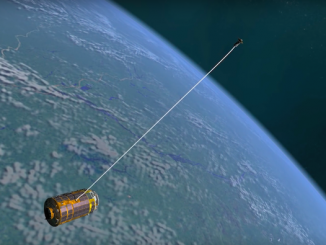 Additional deployments aboard the Arase satellite are planned in the coming days and weeks, including the unfurling of sensor booms and antennas designed to collect data on electrons, ions, plasma waves and the magnetic field surrounding Earth. The spin-stabilized spacecraft will spin once every eight seconds throughout its mission, exposing its science package to plasma and particle flows in all directions. Scientists want to learn more about the physics behind geomagnetic storms, a type of space weather that generates the colorful auroras of the Northern and Southern Lights, but can also drive radiation through satellite electronics and interfere with communications, navigation and electrical infrastructure. Huge outbursts of solar radiation often swell the Van Allen belts, donut-shaped clouds of charged particles that surround Earth thousands of miles into space discovered by Explorer 1, the first U.S. satellite shot into orbit in 1958. The particles — electrons and ions — are trapped in two bands around the Earth by the planet’s magnetic field, which shields life on the ground from the constant bombardment of cosmic radiation and solar flares. A sudden flow of energy from the sun can energize the particles, sending electrons whizzing through space along magnetic field lines at nearly the speed of light. The field lines curve into Earth’s atmosphere over the north and south poles, where colorful auroral displays are observed. Severe storms can cause the lower part of the belts to dip into the path of the International Space Station, exposing astronauts to higher radiation doses. Strong solar wind or coronal mass ejections can also cause the two belts to temporarily merge, filling a slot of otherwise empty space between them, or even generate a third band of radiation. Scientists know the interplay between charged particles, plasma and electrical currents bolting through space drive the space weather storms, but the specifics have largely eluded physicists. Key questions scientists hope the Arase mission will answer include how the particles in the radiation belts are accelerated to such extreme velocities, and what are the fundamental drivers that determine the intensity of geomagnetic storms. Answers to those questions could help forecasters predict the likelihood, danger and locations of geomagnetic storms ahead of time. “Since highly energized particles in the radiation belts can cause malfunctions of the computers on satellites and damage equipment through electrostatic charge, or threaten the astronauts with radiation exposure, space weather research for forecasting changes in geospace is an important aspect of this project,” JAXA said in a statement. 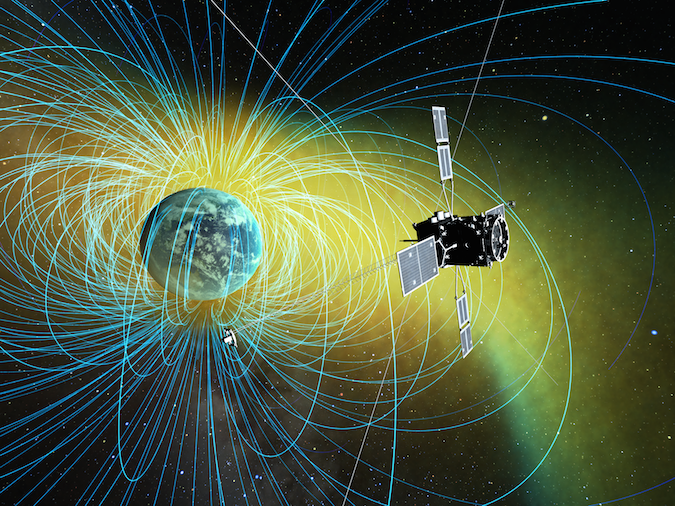 The innermost Van Allen belt is dominated by lower-energy electrons, while the outer band harbors higher-energy particles and is more sensitive fluctuations in the solar wind. NASA’s Van Allen Probes, a pair of satellites launched into an orbit through the radiation belts in 2012, are already on the case. Arase carries similar instrumentation and will join the hunt, enabling three-point observations. 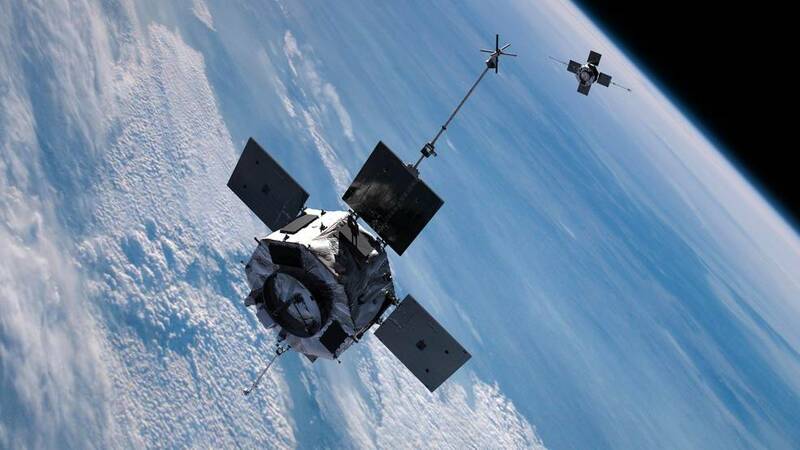 Barry Mauk, former project scientist for the Van Allen Probes mission, said the ERG spacecraft is much like one of NASA’s radiation belt storm observatories. 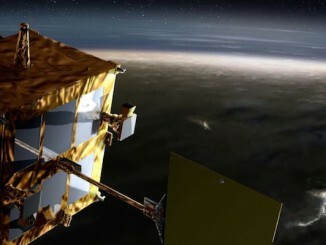 The Van Allen Probes circle Earth closer to the equator, while Arase’s higher-inclination orbit will allow its sensors to measure downstream conditions, according to Mauk, a researcher based at the Johns Hopkins University Applied Physics Laboratory in Maryland. Mauk added that the opportunity for joint observations was a major objective identified for the Van Allen Probes’ extended mission, which is approved by NASA through 2018, and was a key justification for the Arase mission to win funding from the Japanese government.